When it comes to employing veterans, servicemembers, and their spouses, some companies just do it better than others. But how can that be measured? Perhaps by that company’s military-specific hiring initiatives, training, and programs, like CACI International, Inc.? Or the way they create a welcoming and military-friendly culture through social events and mentorships, like Procter & Gamble? 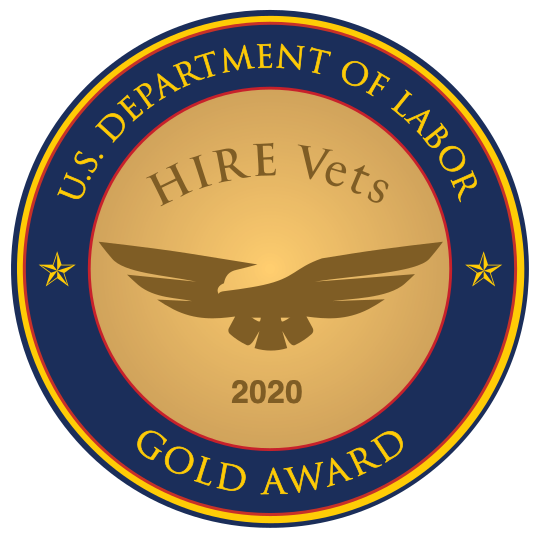 Vinnell Arabia, RecruitMilitary’s MVE 2017 Sponsor of the Year, shows support for veterans and the military community in a number of ways, including offering jobs that already align with military skill-sets and values. Vinnell Arabia understands that building a workforce of veterans results in a dedicated and vigilant professional community. Another way great employers support their military associates? According to Charles Kniffen, Quicken Loans divisional vice president and retired military police with the U.S. Army Reserve, an excellent company will stand by you when military duty calls you elsewhere. Kniffen was working at his office at Quicken Loans on September 11, 2001. That afternoon, his unit was activated and tasked with establishing security and defense plans and operations for local military units. His employer didn’t flinch. Then, just a few months later, in June 2002, Kniffen was given less than 24 hours’ notice that he would be deploying to Iraq. Once again, his employer understood and supported him. During his deployment, Quicken Loans covered the difference between his military income and his civilian monthly commission. They also continued his healthcare benefits so his family could continue to receive care, and sent care packages to him, oversees. The employers listed as MVE winners are organizations that go above-and-beyond to support the military community. This year’s MVE winners include companies that have given military members and their families more than a job. They offer community, respect, and support. Read on to see why these companies are the Most Valuable Employers for job seekers like yourself. • Beacon Roofing Supply, Inc.
• Celadon Trucking Services, Inc.
• First Command Financial Services, Inc.
• G4S Secure Solutions (USA) Inc.
• The GEO Group, Inc.